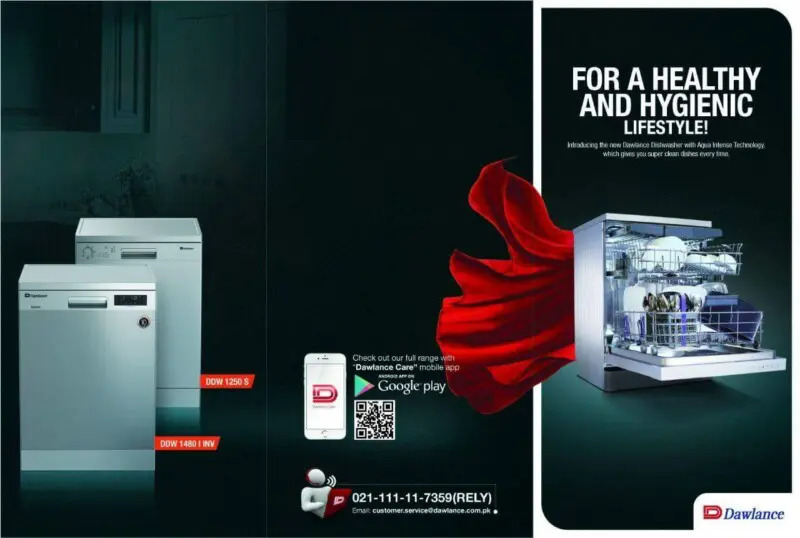 Dawlance home appliances brand, unveiled its new range of dishwashers which aim to curb issues regarding health, water and electricity for Pakistani consumers, who demand high quality products to enhance their lifestyle. The new Dishwasher models aim to address these major concerns on a scale not possible under the prevalent system of hand washing in Pakistan. The latest dishwasher range comes in two impressive models, namely the D 1250 S and D 1480 I INV, the latter being an inverter based model which saves energy, and both models save up to 85,000 liters of water compared to hand wash. These unique products are is well-crafted, with a clean-line design and finished with distinguishing details that add a touch of prestige. Tackling even the toughest soiling, its classic Aqua intense technology offers impeccable cleaning results and striking performance by allowing precise cleaning, directing the water to exactly where it is needed while also completely eliminating the need to pre-wash the dishes. The aqua intense function is highly relevant for Pakistani heavily soiled pots and pans. Moreover, the inverter motor comes with a ten years warranty while the hygienic wash gives superior health care by killing bacteria at 70 degrees Celsius. This range of dishwashers are fully equipped with an automated system for kitchens which disposes of organic waste directly at its source, thus allowing consumers to deploy and use them more productively.